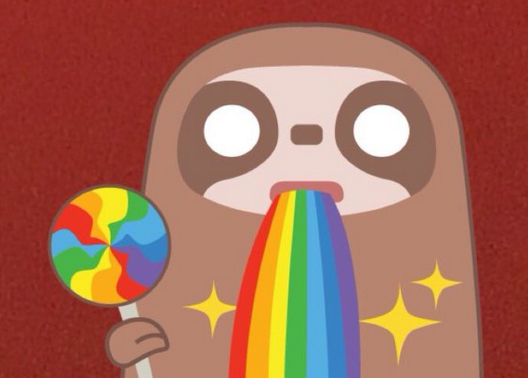 Home › Snapchat Today › What Does the Snapchat Puking Rainbow Animal with a Lollipop Mean? On Monday, March 28th, 2016 Snapchat has released one of their most unusual filters. It is some type of animal that looks like a raccoon that is puking a rainbow with a lollipop. Obviously, these are popular features with Snapchat but they aren’t really telling us what it is. It could be a preview of something exciting to come in the next few days. There has not been a major update to Snapchat in 2016 so this could be it. Does anyone else have any ideas as to what type of animal this is? What could it possibly mean? Have you and your friends sent this filter to each other asking questions about it? Obviously this is not the new Snapchat mascot as that is a ghost. The filter only became available sometime after noon eastern time. Are you seeing it as well? Do you know what the Snapchat rainbow puking animal means? Advice to Incoming College Athletes | Google Real Time Penguin Algorithm Update Coming in April 2016?